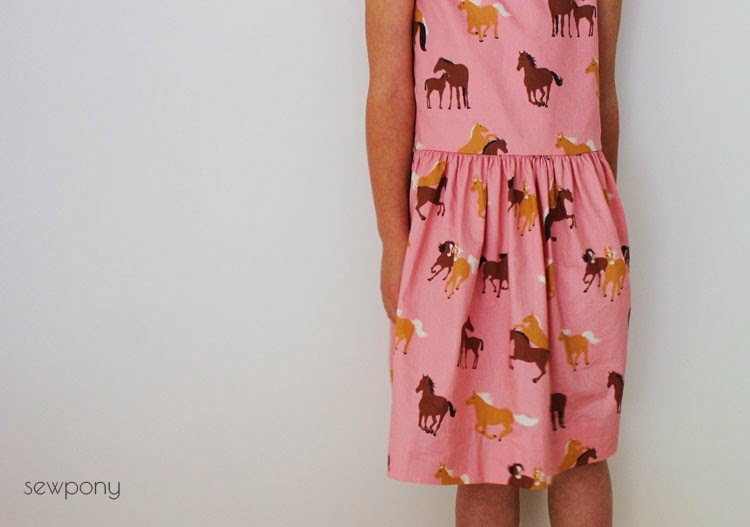 Today for Kids' Clothes Week, I am sharing two dresses I made this week. One for Issie and one for her best friend who turned seven this week and had a little party today. 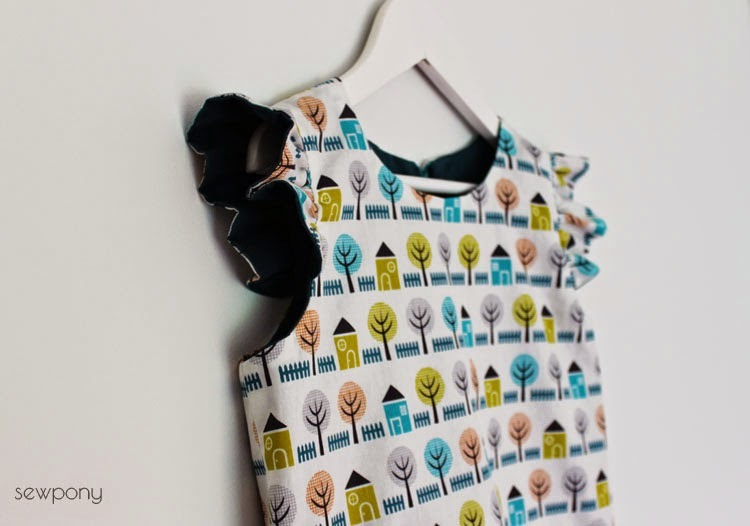 I used the Hanami pattern by An from StraightGrain for both dresses. Okay, so I broke my vow of not buying new fabric this week and bought this Cloud9 House and Garden print that was on special at Spotlight for $8 per metre. I have since seriously broken my vow after filling my cart with lovely fabrics on line (some for Emily's quilt and some for...other things). I think I did pretty well lasting four months without buying fabric (aside from a little lining/bias/zips, etc). For Isabella's friend's dress I lined the bodice with a teal cotton couture and the whole dress is very soft. 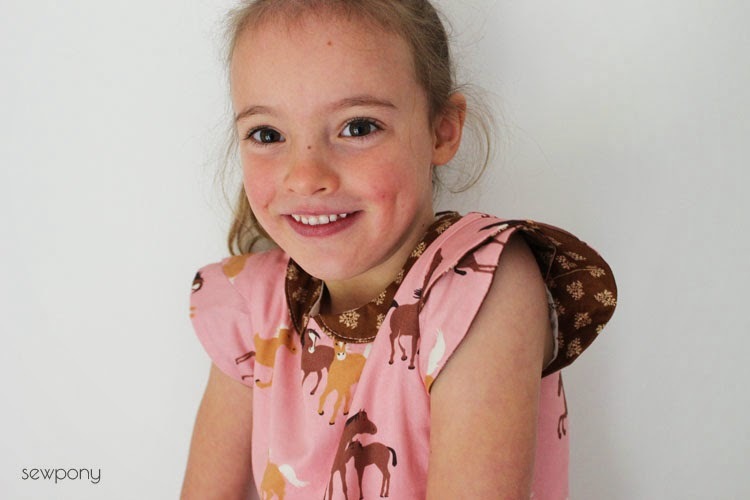 I included the flutter sleeves on this dress, while the pony dress has the lovely overlapping tulip sleeves. 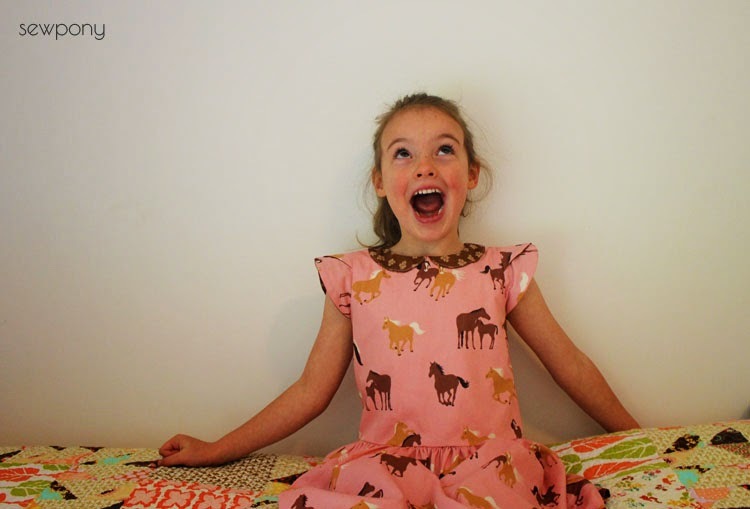 I bought this vintage looking cotton/poplin about two years ago from Spotlight and it has long been promised to be made into a dress for Issie. 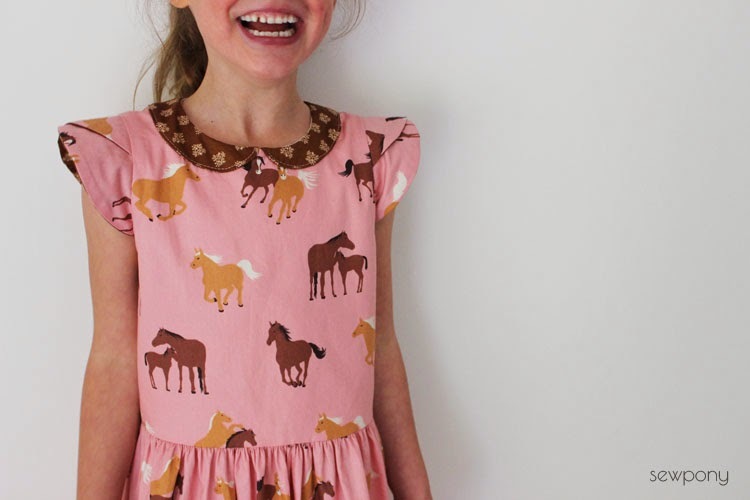 I added the small peter pan collar for Isabella's pony dress, however, I had to top stitch it down as it kept flipping up due to its small size. Issie loves her pony dress and her friend was wearing her new dress when I picked Issie up from the party and it fit her perfectly. Yay! 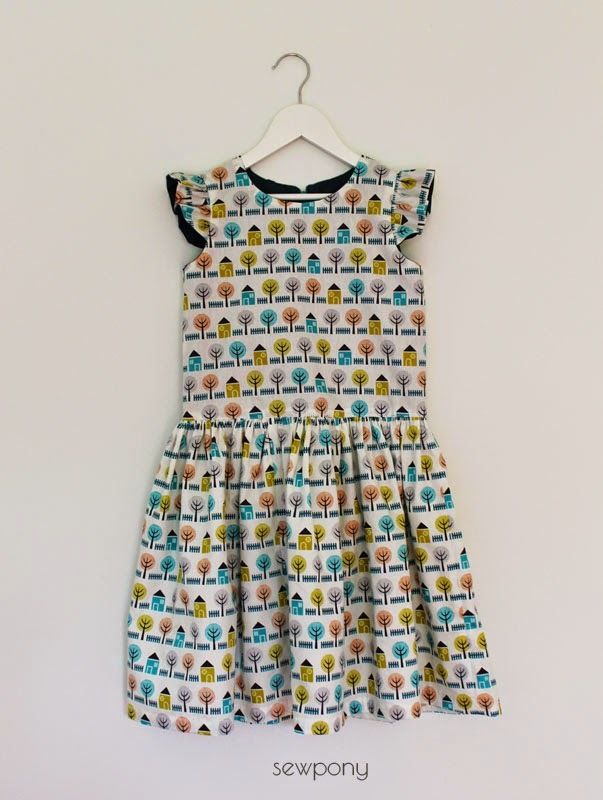 I have one more garment I would like to finish this week which is in keeping with the 'Wild Things' theme of Kids' Clothes Week', but I will see how I go! Are you sewing too? You can't go past a bargain like that at Spotlight! 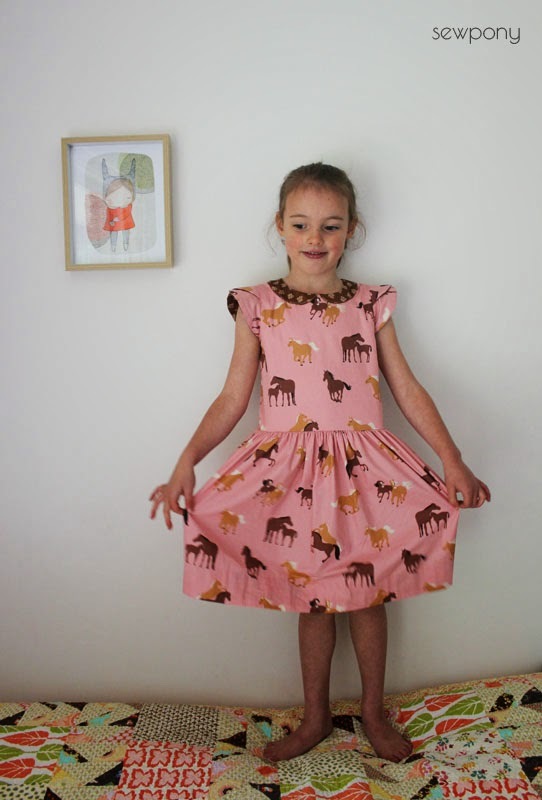 Wish I'd restarted sewing when my girls were a lot younger. 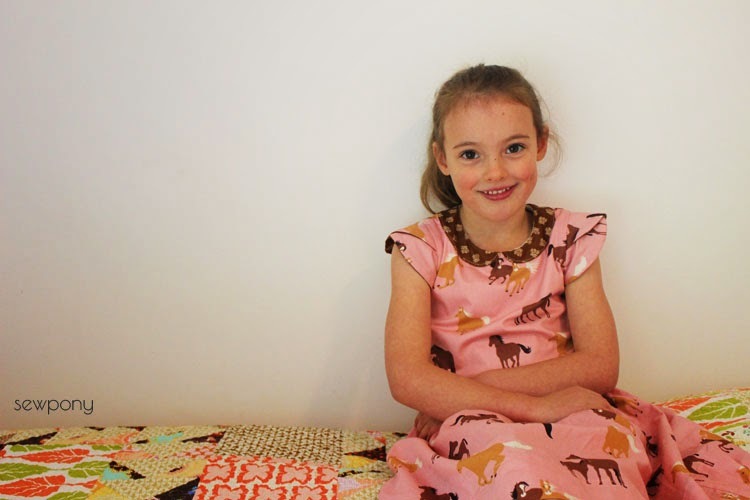 Dresses are great as is Issie's big girl quilt! Thanks an:) glad you like them! Last picture is too much! Cute, cute! Oh now I'm definitely going to (finally) buy that pattern!